Almost without fail, students returning to school in the Fall get a writing assignment asking what they did all summer. For music students, that writing assignment could go one of two ways: I became a better musician or...I spent more time playing video games than practicing. With the dramatic change in routine the Summer affords, you must make a conscious choice about what you'll do with your time. Summer can be the perfect time to gain proficiency or learn a new instrument altogether. Make a commitment to focus on your music. It’s easy to let the hours pass doing everything but practicing. Plan ahead and set a time that works with you and your family’s schedule. If your family knows when your time is, they’re more likely to avoid conflicting activities. Find a mentor. Summer can be the best time to take lessons. With new technologies available to take the lessons right from home, they can be taken at your convenience. Nathan Prisk, vocalist and owner of Prisk Vocal Studios, even suggests two shorter lessons a week each week for beginning students so that they are not overloaded at each lesson, but so that they also do not get bored with too little. Make it fun. Don’t underestimate peer mentorship either. Finding friends to play instruments together can make hours practicing seem like minutes! Also, finding new music that you enjoy playing will keep up the momentum. Summer music camps can equip the student with many new techniques, as well as inspiration. Gregory Alley, trumpeter with King’s Brass and professor at Calvin College, spent every summer of his high school years with Blue Lake Fine Arts Camp in Twin Lakes, MI. I also spent some time there. Eric Mullins, owner and teacher at Mullins Music, runs Rock Week Camp at his studios. There are several quality camps across the country that offer the instruction in any style of music you are looking for. Work with a teacher. Even if you’re working with a great local teacher, summer schedules and transportation can become problematic. Online lessons make it much easier to stay on track. Whether you’re at home or vacation you can make it to your lesson as long as you’re got a good internet connection! Find your perfect online teacher here. You’ve got several options during the summer break. Rather than idling away the days, play your instrument! The musical momentum you gain will be well worth it. Besides, wouldn’t you love to say you spent the summer making music? Fran Beaudry has over 30 years of experience as a clarinet player and music educator. Follow Fran on Twitter or book an online clarinet lesson with her on The ZOEN. The subject of practicing can be a source of frustration for students, parents, and teachers, but it doesn't have to be! Involving all three parties in the process can turn practicing from a chore into something that a student looks forward to. The idea is to make practice part of a big picture plan and to maximize the very precious time we all seem to have these days. Here are some thoughts from The Dallas School of Music and dlp faculty on encouraging students to practice. First of all, when you make assignments to your students, explain to them why you are making it. What will this assignment help them to do that they weren't able to before? Giving students (and parents) a realistic assignment and informing them of the tangible benefits it can provide will go a long way toward making practice happen on a regular basis. We encourage our faculty to explain, document, and include the what each student needs to do, why they need to do it, and how they need to do it after every lesson. Parents appreciate this and students of all ages have told us that this kind of direction seem less like "busy work” and more like a means to an end that will greatly benefit their musical progress and enjoyment. Don’t assume that your students - especially beginners - know how to practice. 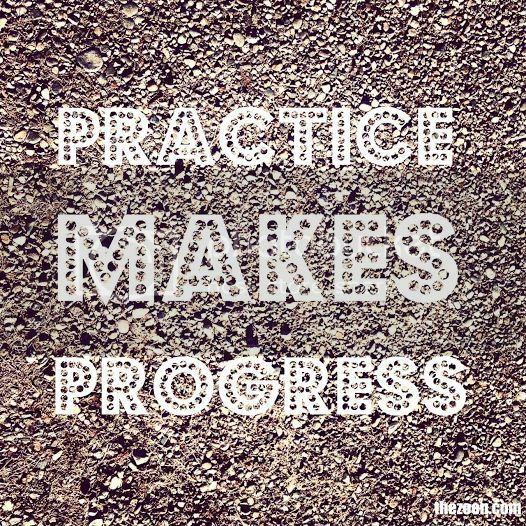 In our session here at DSM, we'll often demonstrate how we might practice and then allow our students to “practice practicing” in front of us. This allows us to help them develop solid practice methods and habits. A good teacher can directly affect a student in this way and lead them to maximize their results in the minimum time necessary. As students progress, we'll ask them how they would suggest someone else might practice a particular concept. This helps them to conceptualize a way to solve a particular problem from a teacher's point of view. As a side note, we purposely avoid giving 'negative' examples as they'll sometimes cause confusion, especially in younger students. Instead, always try to demonstrate, encourage, and promote good practice ideas and habits. You won't be sorry and neither will your students! We hope these suggestions help to promote happier and longer lasting lessons. We welcome all teachers to check out the dlp Music Program for use with students of all ages and levels of ability on any of 35 instruments. You will have access to wonderful music courses (including our new Jazz Course), lessons with theory and ear-training quizzes, resources (featuring great folks like The ZOEN! ), forums, and music education blogs that you'll find both useful and entertaining. The dlp program provides a comprehensive online curriculum that can be used as a base of study or as a supplement to any learning method. This post was contributed by faculty from the Dallas School of Music. 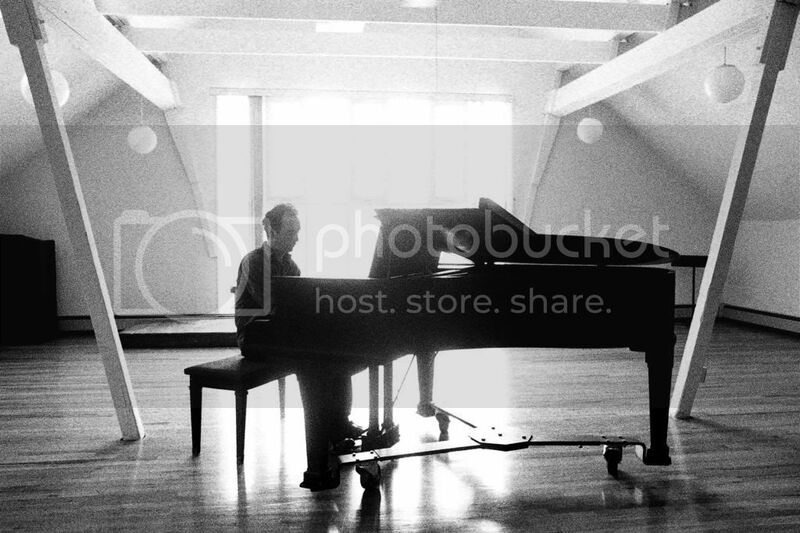 For more insights into music education and teaching, visit their blogs. Scales and arpeggios are patterns of notes (and fingerings). Practice them to feel the patterns; that way they will become built into your muscle memory. Pieces are in keys, depending on the key signature. Knowing the scale of a piece gives you a head start; composers writing in a key will inevitably use fragments of scales and arpeggios. Being able to change quickly from key to key is important for musicians; playing scales in different keys builds this up and speeds up the processing needed to switch between keys. Athletes train; so should musicians. Scales are a great way to get your muscles in shape and build up stamina. Scales and arpeggio practice will build and focus motor skills. 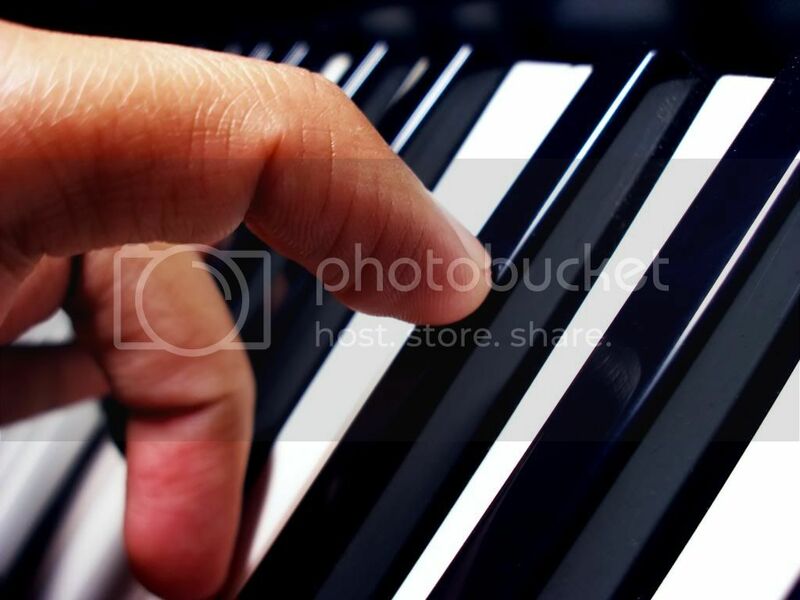 It is no coincidence that many surgeons play the piano to keep their fingers dexterous and supple. Playing at speed becomes increasingly important as you progress; scale practice will improve fluency (NB make sure that you use consistent and good fingerings). Articulation - the way a note is played. Use a scale you know well to focus your attention on a particular articulation, such as staccato, or on making an even, clear sound. Scale practice facilitates sight-reading; know the scale and arpeggio that go with the key signature and you are in the zone. Once a decision is taken on which key to use, scale knowledge will help you to improvise in that key. The more idea you have of the concept of ‘key’, the easier you will find it to transpose music into different keys. Great players have technical mastery over their instruments that means that they are so fluent at playing that they are free to do anything they like with the music and their technique will not hold them back. Even if you’re not planning to become a professional musician, scale practice is a vital building block towards becoming freer and more assured on your instrument. This post was contributed by Naomi Yandell, Educational Consultant for the UK-based app ScaleBox. Developed for UK students preparing for the rigorous ABRSM exam requirement, ScaleBox helps students build independent practice skills while encouraging them to use their own ears to assess their work. Break your practice time up into thirds. Even if you only have 15 minutes to spend on your instrument, 5 minutes of practicing each section correctly will yield great results. Just like an athlete, you are using muscles over and over so it's a great idea to warm them up. I know, younger players will say they don't need to. Let me tell you, after playing guitar for 20 plus years, warming up will make all the difference in the world. Best way I've found: chords. For beginners, just take two chords that you know and switch between them for say 20-30 repetitions. Switch chords and repeat. More advanced players use Barre Chords, or drop some music theory in the mix and switch chords using the circle of 5ths. 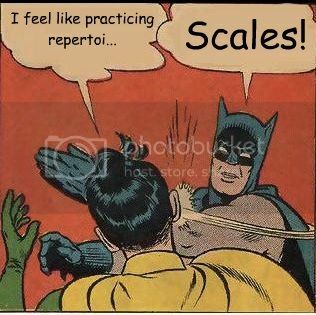 There's no denying that at some point you will be using scales in your playing. Again, repetition is the key to learning. Pick any scale and practice it in every key. Whether it's the tried and true Minor Pentatonic or a more advanced Harmonic Minor, play them in every key! Play them low on the neck where the frets are wider. Play them higher where the frets are smaller. Mixing them up gets your fingers and muscles more comfortable all over the neck. Pro tip: If you want to play fast, you have to practice slow. Yes, the part of practice that everyone loves. During the first two parts of practice your focus was on Great Sounding Chords and Scales. You were paying attention to finger placement on the neck. Your chords were sounding out clearly with no muted notes and no buzzing. Your scales were smooth and fluent. Now that you put all that effort into working on your technique, let's hear what you can do. Start jamming to your favorite songs. 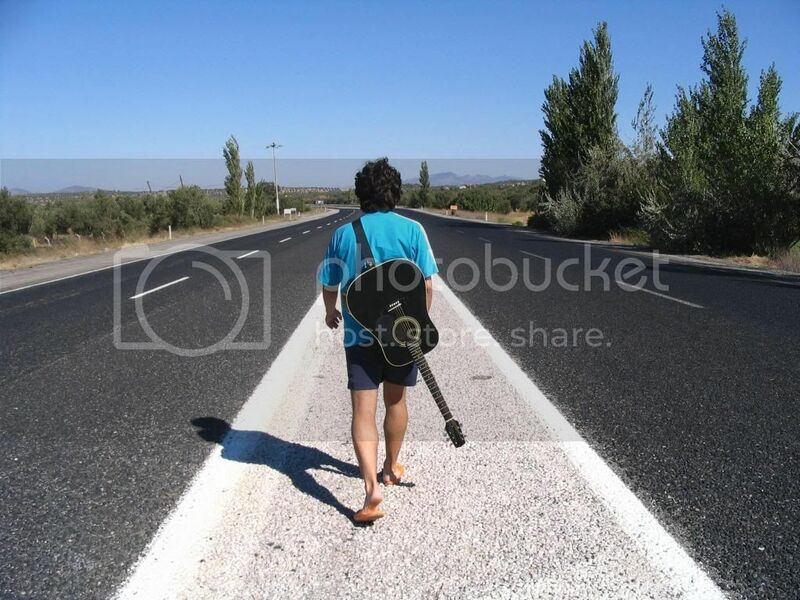 There are plenty of backing tracks out there on YouTube and other sites that will allow you to play along with a full band with the guitars removed. Consistency is the key. Play every day! Remember that even 10 minutes a day is better than putting in an hour once a week. If you can, get a guitar stand and keep the guitar out of it's case. You're more inclined to pick it up and play if you can see it. (This works great for the office too.) Nothing can the relieve stress of a job like closing the door for 10 minutes and playing guitar. One more thing when it comes to finding time to practice: If you really want to do something, you'll find a way. If not, you'll find an excuse! It's not hard to find 15 minutes in your day, especially when the outcome is a lifetime of enjoyment! Matt Brechbiel has been teaching students of all ages and levels to play the guitar for over 20 years. 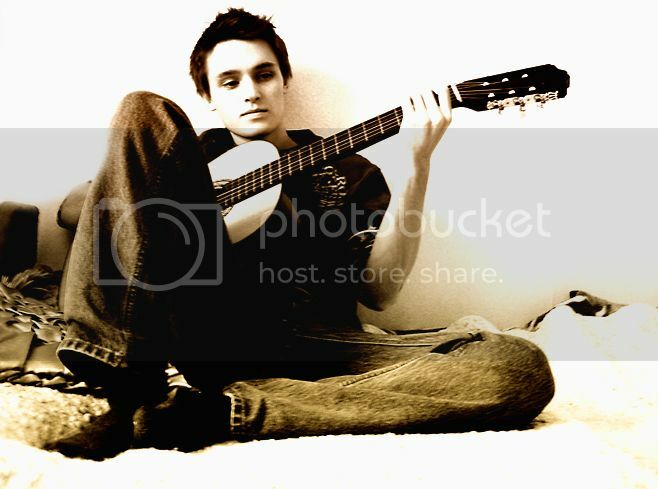 Book a online guitar lesson with him or visit him at mattbmusic.com. As we all know, the experience of working with singers is a truly rewarding one. There’s nothing like helping to dismantle ingrained physical habits and limiting beliefs, as well as witnessing the breakthroughs that take performances and careers to new heights. Unfortunately, there are as many horror stories out there as there are tales of victory. Not only do singers often complain of spending their hard-earned money–and time–with little to show for them, many others leave studios vocally and even emotionally worse off than when they started. What is going on here? In my experience, these situations are more often the result of inappropriate rather than ineffective training. Disconnects between teaching and learning styles and interests, as well as students’ unresolved emotional concerns, often cloud and even prevent the possibility of the voice being properly addressed. Without a shared view and understanding of what vocal training should consist of and look like—and how to ideally go about it—it’s no wonder why the best efforts of both teachers and students often don’t come to fruition. While it may seem a simple question, too often it is left unanswered and even unasked: What is it that new students want to achieve? Do they wish to heal an existing vocal problem or to craft a style for themselves? Is their priority to playfully and joyfully discover their voice or to determinedly develop it? There is a big difference between preparing for an impending tour and coming out of a vocal hibernation, just as there is between a technician and a stylistic coach. We all know this. Yet for passion, pride, or pocketbook, many of us often overstep the bounds when a client could be better served training with someone else. Working through potential songs for an American Idol audition if we are a classical teacher (or on legit technique if we’re a performance or repertoire coach) is likely not the best idea unless we are unusually—read impossibly!—versatile. Singers aren’t always certain of what it is they need, leaving us with the imperative to help them get the best coaching and teaching available... even if it’s not from us. We all have our limitations, musical and otherwise. Being truly great means that we’re upfront and honest about what we do and don’t know and specialize in—with others and ourselves—as well as if and when the time has come for a student to move on. Vocal training requires the baring not only of the voice, but also of the heart and soul to another…to become truly vulnerable. This required openness often leads to unresolved emotional issues and insecurities—rather than the voice—becoming the focus in sessions; a teacher can be working hard to help a student lock in a certain technique, unaware that an emotional concern is preventing the very progress they’re both consciously striving for. What’s more, psychological issues and insecurities can set the stage for the development of co-dependent relationships that hinder and often impair both vocal and personal progress. Clearly, these are matters that the singer him or herself must address and work through. Yet while it may not be our job to address our students’ emotional issues head on, it is our responsibility to look out for and consider their holistic as well as vocal well being, so that we may respond to the entirety of what they need. This includes taking a close look at our own unresolved “stuff” that might be attracting, fostering and perpetuating less than optimal dynamics. Whatever our students’ specific goals, in my opinion the best teachers are those who view the process of teaching as a journey of co-discovery, rather than top-down instruction of an inflexible methodology. Central to the creation of this type of relationship is abandoning the notion of an unbalanced power dynamic between teacher and student in favor of the former. In fact, the opposite is true. When working with singers, they are employing us to help them grow in a certain area of understanding. The onus is therefore on us to demonstrate that we’re qualified to provide them with the service they’re looking for. Sadly, many—teachers and students alike—continue to believe that learning is simply the passive intake of information from someone who knows more about a topic than we do. Indeed, we may be more knowledgeable about technique than our students, but that doesn’t mean we know how to best communicate that information in a way that’s clear to them. Our student’s participation—as well as our humility—are critical to ensuring that the process of learning, the giving and receiving of information, can be fulfilled. Teaching is a journey that begins with a holistic and compassionate view of the human being standing before us, rather than the immediate sharing of a specific technique or approach. Knowing who they are and what they want is the key for singers to begin unlocking their potential, both personal and vocal. It is our job to support and create a safe space for them to discover these aspects of themselves, upon which all vocal technique and performance practices may be optimally built. 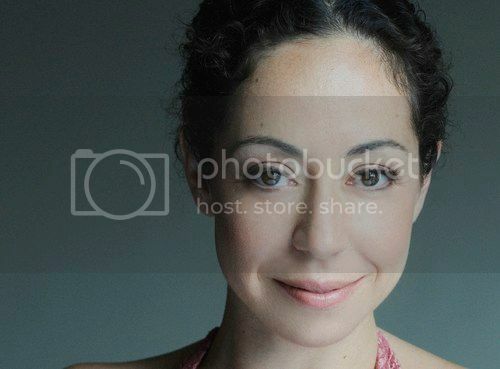 This guest post was contributed by Jennifer Hamady, a Manhattan-based voice coach, counselor, author of The Art of Singing: Discovering and Developing Your True Voice and regular contributor to The Huffington Post, and Psychology Today. Jennifer's clients include Grammy, CMA, Emmy and Tony award-winners, as well as corporate clients across an array of industries. The Zenph Online Education Network helps teachers, coaches and students find the perfect fit as they embark on their journeys of musical discovery. Check out our listing of online vocal coaches or sign up to teach online. Find a great music teacher who can work with you to create a practice routine that works for you. Their individual attention is invaluable and they know know just about every trick in the book! Ask them anything. In addition to teaching for the ZOEN, Jens is presently the trombonist for Blood, Sweat and Tears. Yes, the Blood, Sweat and Tears. How did he get that gig? Well, being Donna Summer’s music director probably didn’t hurt. As a teacher, Jens’ philosophy is to help his students be self-motivated to continue to strive for personal excellence. His goal is to create the “magical moment” that generates confidence and inspires the student. Gotta love that. When he’s not home in Cincinnati OH, Dan is out on the road touring with the likes of Jim James (My Morning Jacket) and Ben Sollee. He is a studio musician having played on over 25 major label records, the music director at his church, a jazz drum professor at Northern Kentucky University and a former member of the cast of STOMP. The beauty of teaching online for a working musician like Dan is that he can maintain his teaching practice from just about anywhere. You’re probably wondering what an ocarina is. The ocarina belongs to a very old family of instruments - its the flute-like instrument that was featured in the Nintendo 64 video game The Legend of Zelda: Ocarina of Time. There aren’t a whole lot of ocarina teachers out there, so that alone sets Cris apart. But get this, she’s also won an international star search competition in 2009 and has recorded with Grammy nominated composer Austin Wintory. A performing Latin drummer for more than 45 years, the short list of artists Johnny has performed with is impressive to say the least. The Jackson 5, Eddie Palmieri, Sergio Mendes, Carlos Santana, Gloria Estefan...yep, he’s played with them. Johnny’s credentials as a music teacher are just as impressive. If you’ve always wanted to play the Congas, why not learn from the best? Book a lesson now. These are just a few of the teachers who make up the ZOEN community. If you’re want to learn an instrument, take a free trial lesson with a teacher or two until you find that perfect fit. The key to long term success with music lessons is finding a teacher you really connect with!